We, the Alumni of Eastern Oregon University, Eastern Oregon State College, Eastern Oregon College, Eastern Oregon College of Education, Eastern Oregon Normal School of La Grande, Oregon, in order to promote educational opportunities for citizens of Oregon and eastern Oregon and to strengthen the ties between each of us and our College, do hereby establish this constitution. The Association shall be called the Alumni Association of Eastern Oregon University. The Association shall operate as part of the University under the authority of the Eastern Oregon University Foundation Board of Trustees. 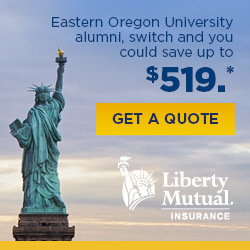 The purpose of the Alumni Association is to actively promote the University’s mission and vision, encourage friendship and communication amongst alumni and friends, promote financial support of the University, encourage alumni participation in social and educational opportunities and encourage prospective students to obtain an education at Eastern Oregon University. Membership shall be available to any former student of Eastern Oregon University, whether a graduate or not, or any member or former member of the faculty or any past or current member of the Eastern Oregon University Foundation Board of Trustees. General Powers – The affairs of the Association shall be managed by its Board of Directors. 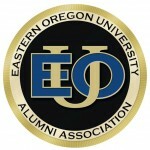 The Directors of the Eastern Oregon University Alumni Association must be former students of Eastern Oregon University. Number, Tenure, and Qualifications – There shall be a minimum of eight (8) Directors and a maximum of sixteen (16) serving on the Eastern Oregon University Alumni Association Board of Directors. In electing new Directors, consideration shall be given to the Boards breadth and depth in representing the alumni of Eastern Oregon University. Elected Directors shall serve a three (3) year term. Each Director may serve two (2) three (3) year terms and then must rotate off the Board for a minimum period of one year.In addition to the 16 Directors, the EOU President will appoint one or two seniors annually to serve as the President’s Student Alumni Appointees to a two (2) year term on the Board of Directors with a maximum of four (4) serving at any one time.The Board of Directors shall include the immediate past president of the Association for a term beginning at the expiration of his or her term as president of the Association and expires with the next presidential rotation.Each Director shall be elected by the members at the regular annual meeting of the members of the Association. The newly elected Directors shall take office immediately following their election. Vacancies – Any vacancy occurring on the Board of Directors and any increase in the number of directors shall be filled by the Board of Directors. A Director elected to fill a vacancy shall be elected for the unexpired term of his or her predecessor in office. Compensation – Directors shall receive no compensation for their services, nor shall any Director be reimbursed for any expenses incurred in attending regular or special meetings of the Board. Duties – Each Director shall accept personal responsibility for performing their role as a member of the Alumni Board and other duties as requested. Removal of Directors – Should the Alumni Association, Officers, or Board of Directors feel that a director has not fulfilled his or her responsibilities as outlined above he or she may be removed by a majority vote of the officers and directors at a regular meeting. In addition, in case of crisis, the eastern Oregon University Foundation president may make an executive decision to excuse a Director. The Director of Alumni – The Director of Annual Giving and Alumni Programs affairs shall be employed by the University and report to the Vice President for University Advancement. The Director shall serve as the liaison between the University and the Association, shall direct the operations of the Association through the Alumni Office and shall coordinate the programs set by the Association in keeping with the purpose and philosophy of the University. The Director shall serve as an ex-officio member of all committees of the Board and of the Association. Qualifications – The officers of the Association shall be President, Vice President, Secretary, Treasurer, and Past President. Such officers shall be chosen from the Board of Directors and be members of the Association in good standing. No two offices may be held by the same person. Election and Term of Office – The President, Vice-President, Secretary, and Treasurer shall be elected by the members of the Association at the regular annual meeting. Each officer shall hold office for a term of (2) two years. Officers may serve only one term in their respective position and then must rotate out of that position for a minimum period of one year. Executives are eligible to run for any other executive position or may return to the Board of Directors if in accordance with Article IV, Number 2: Number, Tenure, and Qualifications for members of the Board of Directors. Vacancies – A vacancy in any office because of death, resignation, disqualification, or otherwise, may be filled by the Board of Directors for the unexpired portion of the term. President – The President shall be responsible for the general direction of the affairs of the Association and shall be the official representative of the Association. The President shall preside at all meetings of the members and of the Board of Directors and in general shall perform all duties incident to the office of President and such other duties as may be prescribed by the Board of Directors. Vice President – In the absence of the President or in the event of his or her inability or refusal to act, the Vice President shall perform the duties of the President. When so acting, the Vice President shall have all the powers of and be subject to all of the restrictions upon the President. Any Vice President shall perform such other duties as may be assigned by the President or by the Board of Directors. Secretary – The Secretary shall be responsible for keeping the minutes of the meetings of the Board of Directors; assure all notices are duly given in accordance with the provisions of these Bylaws or as required by law and in general perform all duties incident to the office of the Secretary and such other duties as from time to time may be assigned by the President or by the Board of Directors. The Secretary shall be responsible for submitting copies of the minutes of the previous meeting to the Alumni Director and the Alumni President. Treasurer – The Treasurer shall work closely with the Alumni office and the Alumni Director to insure that all funds and securities of the Association are deposited in the name of the Association in such banks, trust companies, or other depositaries as shall be selected by Eastern Oregon University Foundation, and in general perform all the duties incident to the office of Treasurer and such other duties as from time to time may be assigned to him or her by the President or by the Board of Directors. Removal of Officers – Should the Alumni Association, Officers, or Board of Directors feel that an officer has not fulfilled his responsibilities; they may be removed by a majority vote of the officers and directors at a regular meeting. Past President- the Past President shall be a voting member of the Board of Directors and shall serve the same length of term of the current president who succeeded the past president. The Past-President shall chair a nomination and selection committee appointed by the current President and approved by the Executive Committee. The nomination and selection committee shall recommend nominees for vacant positions on the Board of Directors and for vacant officer positions. Nominees are to be submitted for formal vote of approval by the Board of Directors. a. Past President will chair an ad-hoc nominating committee appointed by the association executive committee. The annual meeting of the Associations members shall be held in the fall of each year in conjunction with Eastern Oregon University Homecoming activities, for the purpose of electing officers and directors and for the transaction of such other business as may come before the meeting. Special meetings of the Association may be called at any time by the President or by a majority of the Board of Directors of the Association. The Board of Directors shall hold 3 meetings each year, one of which will be during Homecoming weekend. All business of the Association, the Board, or any committee of the Association requiring any taking of a vote of such body may be transacted by a majority vote of the members present. Those present at any meeting of the Association, Board, or committee of the Association shall constitute a quorum. At any meeting of the Association, the Board, or any committee of the Association, the members shall vote in person only, and not by proxy. Standing Committees – The standing committees shall be the Executive Committee, Regional Events Committee, Homecoming Committee, and Student Recruitment Committee. The President may appoint any additional committees deemed necessary. Ex-Officio Members – The President and the Alumni Director shall serve as ex-officio members of all committees. Records – Each committee shall keep a continuous record of meetings, a copy of which shall be filed in the Alumni Office. Executive Committee – There shall be an Executive Committee comprised of the President, the Vice-President, Secretary, Treasurer, and the immediate Past-President. The Executive Committee shall have the authority of the Board of Directors in the management of the Association at all times except when the Board of Directors may be meeting. Regional Events Committee – There shall be a Regional Events Committee consisting of at least three board members and regional event organizers who have volunteered to coordinate one of the Association’s major regional events. One of the Board members shall serve as the committee chair. The committee will facilitate the planning and execution of alumni events throughout the region. Homecoming Committee- There shall be a Homecoming Committee consisting of at least three board members, one of whom shall serve as the committee chair. 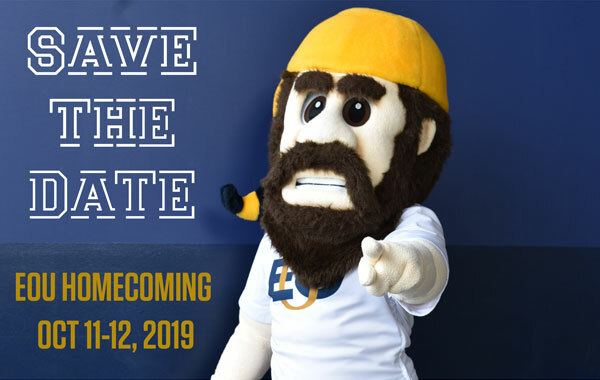 The Homecoming Committee will help plan and execute Alumni Activities at Homecoming. Student Recruitment Committee- There shall be a Student Recruitment Committee consisting of at least three board members, one of whom shall serve as the committee chair. The Student Recruitment committee shall participate in Mountaineer Nights, New Student Move-in day and other recruitment activities as directed by Admissions. Terms of Office – The members of each committee shall be appointed by the President. Each member of a committee shall continue as such until a successor is appointed, unless the committee is terminated, or unless the member is removed from the committee, or unless the member shall cease to qualify as a member. Chairperson – One member of each committee shall be appointed chairperson by the President. Vacancies – Vacancies in the membership of any committee may be filled by appointments made in the same manner as provided in the case of the original appointments. This constitution will be officially adopted upon its approval by a majority vote of the members of the Alumni Association in attendance at the regular annual meeting or special meeting of the association. Amending the Bylaws – These bylaws may be amended at any meeting of the Eastern Oregon University Alumni Association by a vote of two-thirds of the members of the Association present at such meeting. Any proposed amendments shall be first submitted to the Executive Committee in writing for study before the meeting of the Association. The Executive Committee shall present the proposed amendments, along with its recommendations, at the next meeting of the Association.